Set inside a crisp, modern interior, our bar offers an illustrious setting for after-work aperitivo or celebratory drinks. Click below to view the menus, or contact us for reservations. Whether you’re mingling by the bar or enjoying the perfect glass of vino with charcuterie and river views, our premium bar selection offers a drop for every occasion. Pair your meal, meeting, or workday wind-down with Italian wines, tap beers and aperitifs. At il Molo, we celebrate the ritual of aperitivo. 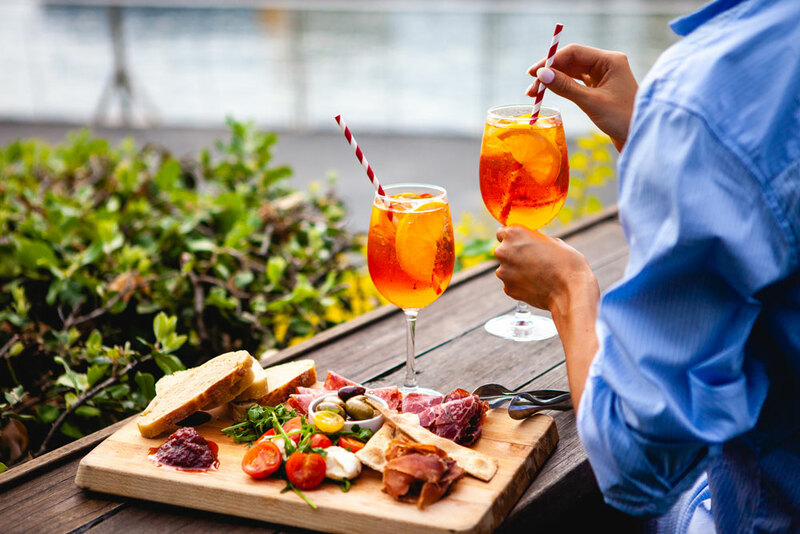 Across Italy, you’ll witness locals leaving work for a social hour of drinks and nibbles – opening the palate before dinner, and leaving the working day behind for evening leisure. Indulge in aperitivo at il Molo from 3pm – 6pm, Tuesday – Sunday. By the bar, you’ll enjoy classic Italian aperitifs like Campari, Prosecco and Aperol alongside plates of antipasti.